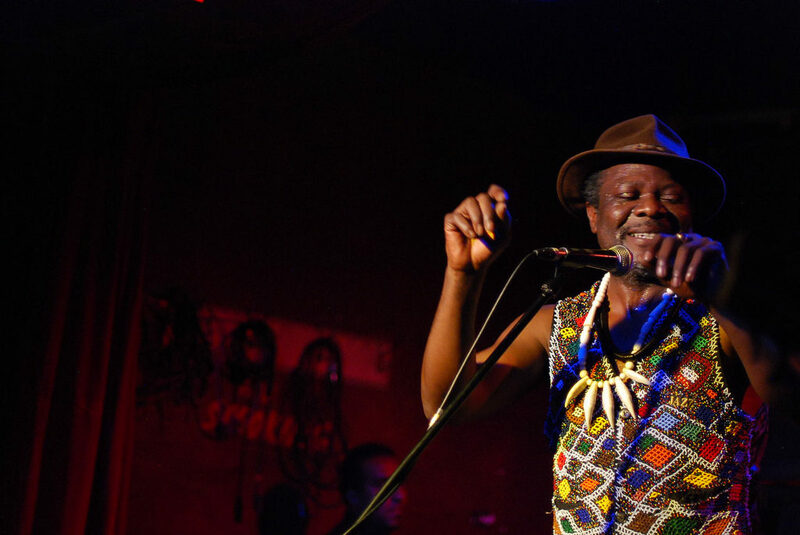 Known as the ‘King of 6/8 Rhythm,’ Camerounian drummer/percussionist Brice Wassy has been a centrifugal force in African music for the past four decades. The former bandleader for Manu Dibango and Salif Keita, he has worked with Miriam Makeba, Mabi Thobejane, Madala Kunene, Toure Kunda, Moses Molelekwa, and Busi Mhlongo, as well as the likes of French jazz violinist Jean-Luc Ponty, Cuban percussionist Changuito, and Brazilian percussionist Airto Moreira. Category: Pass Blog | Tags: Brice Wassy | Bookmark: permalink. ← thank you for tuning in … see you soon again.